Written by three women all uniquely affected by suicide, the book explores the aftermath from a wide range of true stories. Based on the hope found in God’s Word, Too Soon to Say Goodbye offers specially selected Scripture passages and Bible stories that demonstrate God’s love and compassion in times of sorrow and despair. Additional insights from those who have walked on the brink of suicide provide understanding regarding the causes of suicide as well as depressive illnesses that affect the brain. 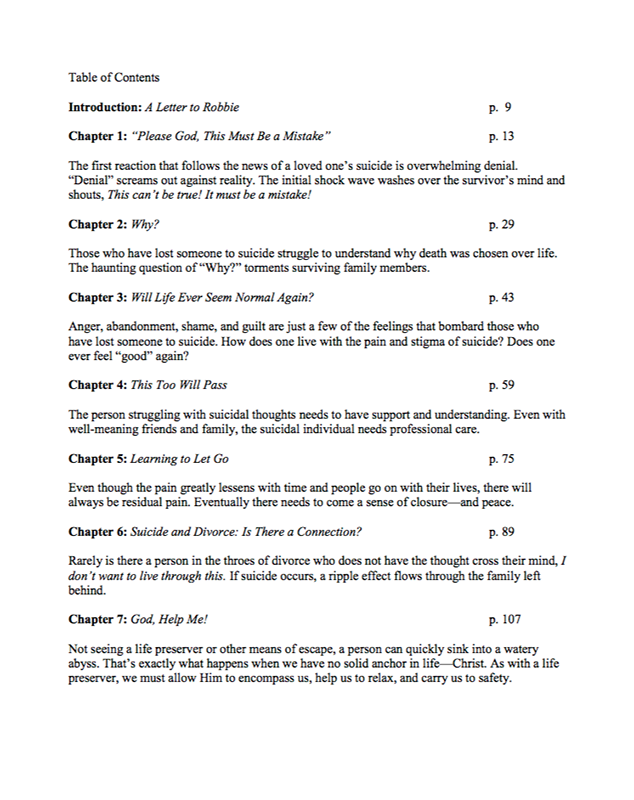 For those who may be considering suicide, the authors offer encouragement to choose life over death. 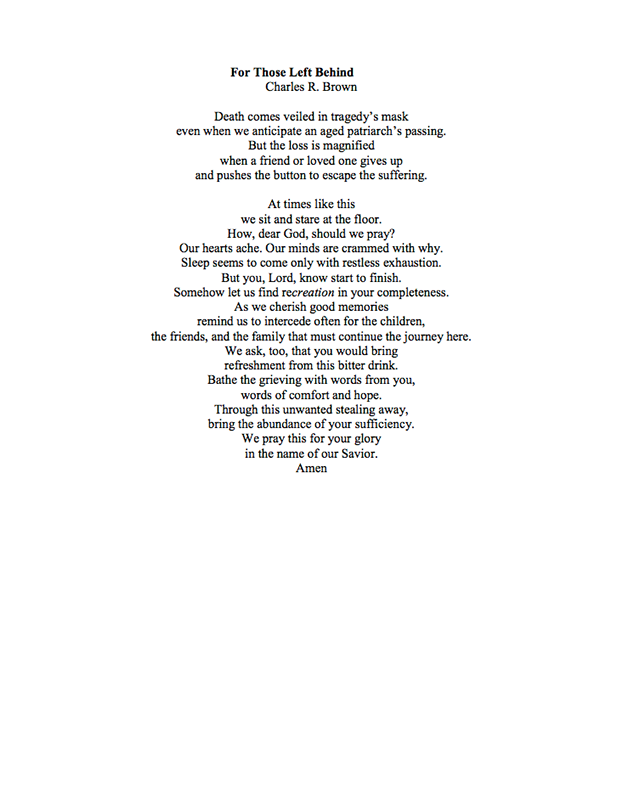 Pastors, family therapists, and grief support groups will also find Too Soon to Say Goodbye an indispensable resource. 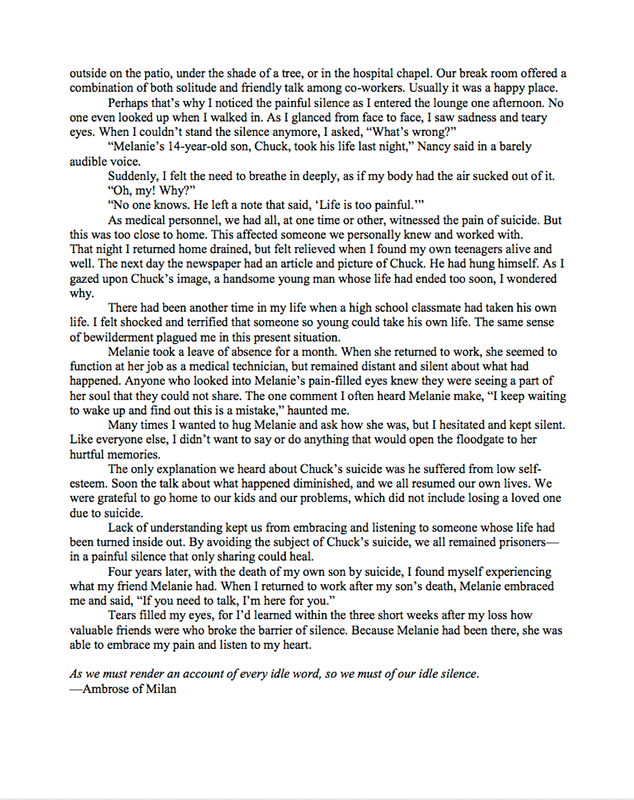 Each of the authors has been affected by suicide. Whether through the loss of immediate and extended family members or through the counseling of those contemplating or left behind by suicide, their decades of experience with the dilemma have helped them make an indelible impact on the lives of others. 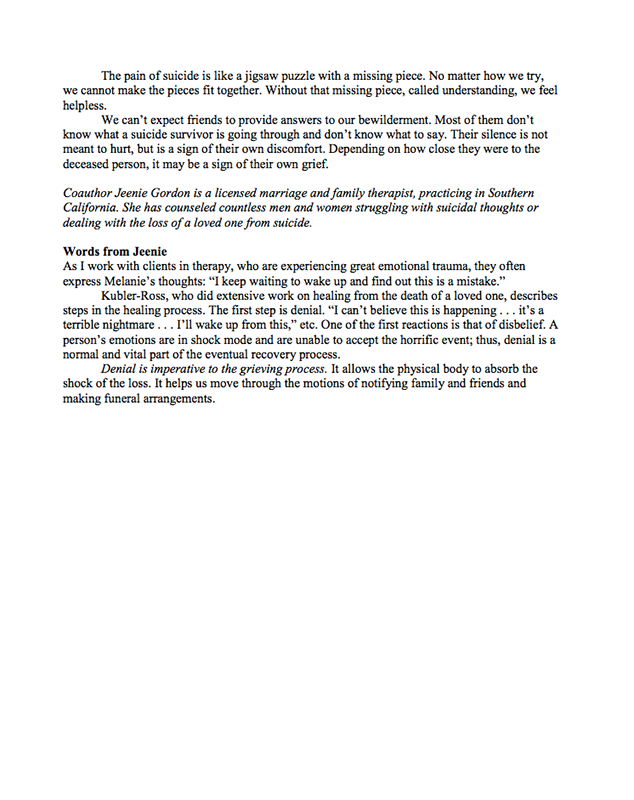 All three women speak and publish extensively on this and other life issues. 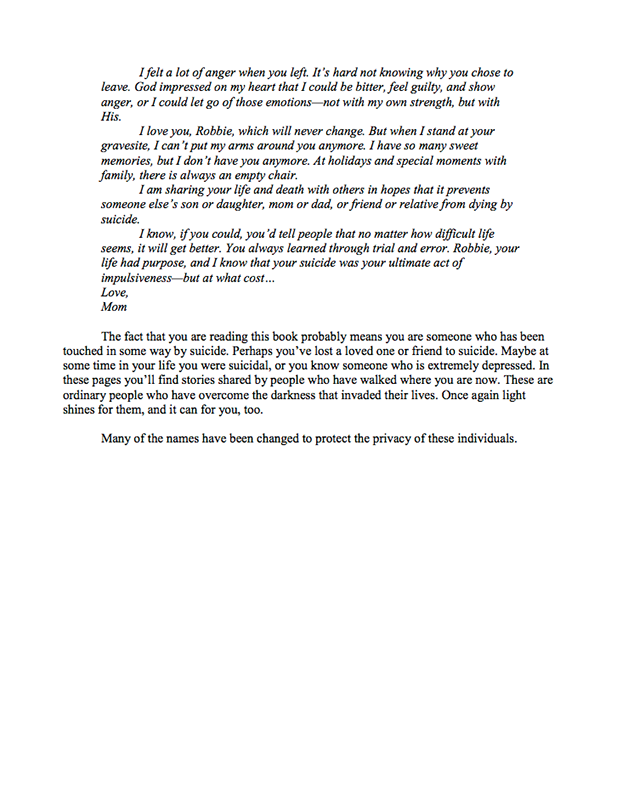 Click the images below to see sample pages from this book. D Candy Arrington, coauthor, AFTERSHOCK: Help, Hope, and Healing in the Wake of Suicide (B & H Publishing Group). 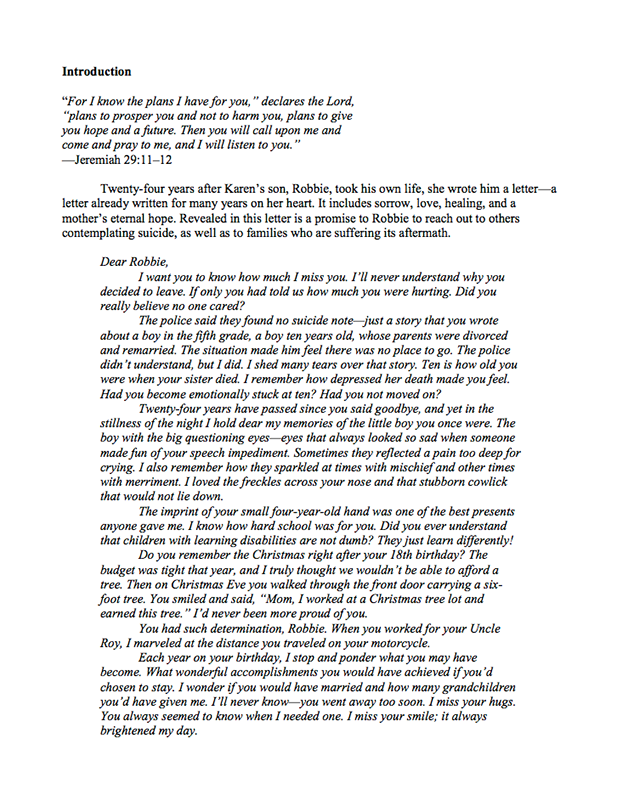 If you have suffered a loved one taking their life, you will want to read this book. It tackles the painful questions of those left behind asking why? My mother succeeded on her seventh attempt to take her own life. I was twelve when she made her first unsuccessful attempt. I was twenty-seven when she succeeded. I wondered for thirty years why my brother and I were not a sufficient reason for my mother to want to live. I wish someone could have given me, Too Soon to Say Goodbye, to help me understand how better to deal with the hurt that followed. 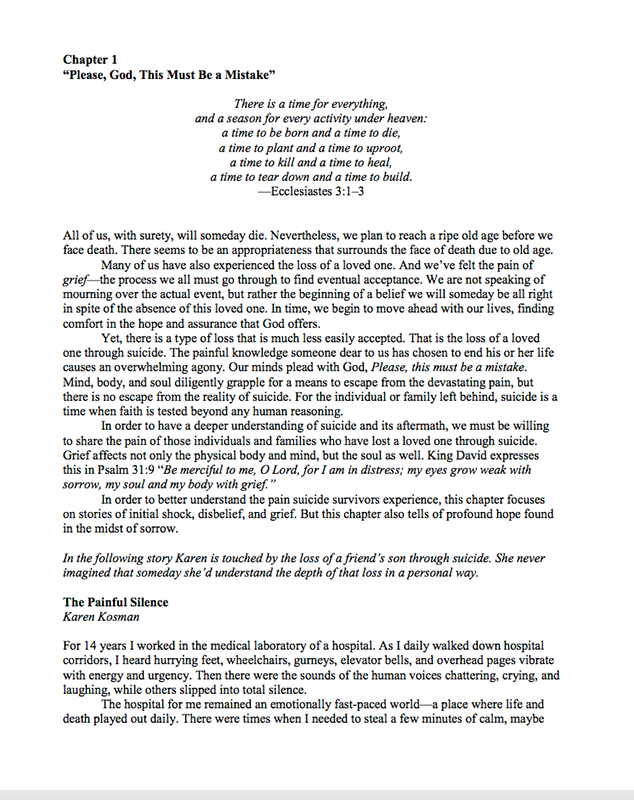 This book, along with your love, would be the best gift you could give a friend who’s loved one has chosen to believe the lie that suicide is the best answer to their desperation.